Published in: Phillips, L.E. & De Clerck, O. (2005). 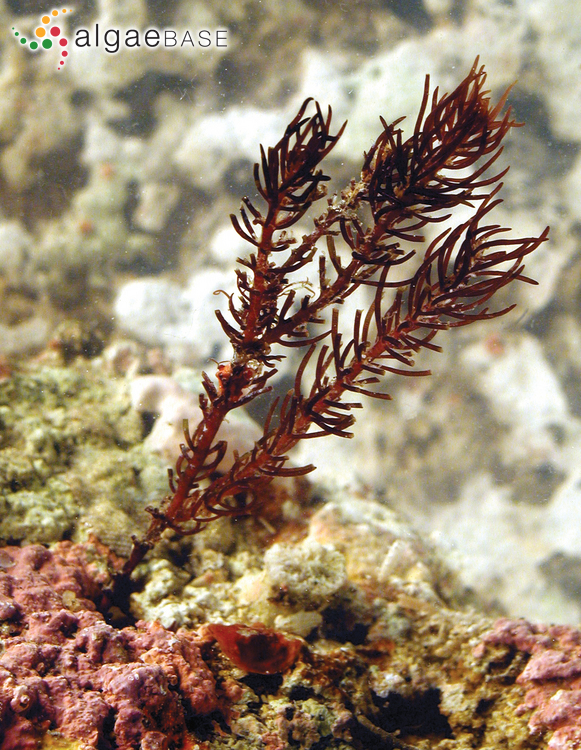 The terete and sub-terete members of the red algal tribe Amansieae (Ceramiales, Rhodomelaceae). Cryptogamie Algologie 26: 5-33. The type species (holotype) of the genus Halopithys is Halopithys pinastroides (Stackhouse) Kützing. Type locality: Santa Maria, Inhaca, Mozambique (Silva, Basson & Moe 1996: 491). Holotype: Isaac B. 273 sub. Simons 2748 (parte); BOL (Phillips & De Clerck 2005: 23).